I love being a nurse — it is my calling. I feel passion, connection, joy and dedication towards my craft, my colleagues, and myself, but, mostly towards my patients. I was once a burned-out critical care nurse disillusioned and frustrated with my job. My patients became sicker and sicker as the healthcare system became more convoluted and technology driven. This took me further from my patient’s needs, far away from true nursing care and why I became a nurse. Administrative duties and task completion sucked away the precious time needed to connect with my patient’s deep needs (let alone take care of my own basic needs, like eating). I saw poorer patient outcomes, more re-admissions and many missed opportunities to provide the essential treatments and the care people deserved. We seemed to only treat "body parts" — a heart, the brain, a liver, the gut and we stopped looking beyond that to see what our patients really needed. Instead of listening to patients to discover their "why" for getting sick, we applied quick Band-Aids to get them out of the hospital faster, only to see them return quicker and sicker than when their illness began. This continuous sprinting on the hamster wheel left me exasperated, apathetic, exhausted, joyless and seeking a better way. But I felt stuck. What else would I do? Did I tell you that I love being a nurse? Perhaps you’ve heard of these more familiar roles; health and wellness coach, life coach, well-being coach or integrative coach. But are you aware of the role of nurse coach? It is relatively new, with the first Nurse Coach Certificate Program originating in 2010 through the International Nurse Coach Association. This professional healthcare role is essential as our present healthcare system is transformed. Nurse coaching is shifting the healthcare standard by bringing heart and wholeness back to the work nurses do, and healing patients by inviting them to be active partners in their care. In essence, nurse coaches are bringing back "health" and "care" to a broken and tired system. 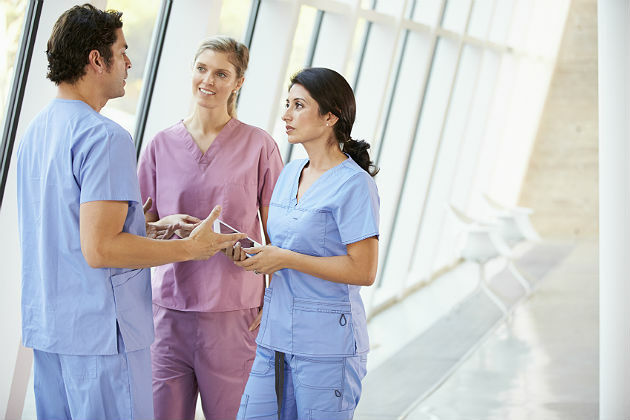 Most nurse coaches hold a board certification through the American Holistic Nurses Credentialing Corporation, which ensures they meet a high set of standards and requirements. A nurse coach practices under the license of registered nurse, tying them to the strict guidelines of ethics and code of conduct of the Board of Nursing. Plus, Americans have voted in the Gallup Poll that nurses are the most honest and ethical profession for 16 years running! Nurse coaches are devoted to the science of healthcare and the art of nursing and caring and positioned to provide a unique set of skills to support a patient's health journey. They intimately know the healthcare space, while actively valuing the individuality of each person. This innate nurse coach knowledge ensures seamless navigation through the medical system and through individual health challenges; all while being fully capable to support clients, patients and families in all stages of life, and death. The science of nurse coaching is the (somewhat) easy part. It’s anatomy, physiology, micro-biology, nursing and coaching theory, assessment, identifying problems, evaluating outcomes, policies, procedures, protocols, etc. It’s the standard information, or "must-knows" that nurse coaches are taught and the techniques they master in order to safely practice. The art of nurse coaching is more difficult to describe and comprehend. It must be discussed directly from the heart, because that is where it comes from. The art of nurse coaching resides squarely within the heart and soul of a nurse. It is not something easily learned by listening to a webinar or reading a textbook. First, the art must be shared from an authentic, honest teacher, and then be received by a nurse with openness, honesty and truth. It requires self-awareness, self-evaluation, self-contemplation and self-kindness, coupled with the myriad skills nurse coaches use to enhance the well-being of human kind. Let’s begin with authentic presence. The book, "Florence Nightingale Today, Healing, Leadership, Global Action," defines authentic presence as, "...approaching a patient or another in a way that respects and honors that person’s essence." Authentic presence can be explained through the experiences one feels when sharing in it. For example, it’s the patient's sudden release of internal pressure when they think, "…she believes me." It's their feeling complete freedom of expression without judgment; instead, only support and trust. It is never feeling rushed or self-conscious about what is shared, only knowing one is accepted, understood and honored. Nurse coaches practice the art of authentic presence through their own self work, self-evaluation, self-honor, self-awareness and self-kindness, since authentic presence can only be learned and shared through a keen understanding of self. How can one be present with another if they are not true to themselves? This self-work enhances the joy of the nurse in her/his work, prioritizing one's own health and energizing one's work at the bedside. Nurse coaches recognize the unselfish need for self-compassion and awareness and take steps to repair their shortcomings to be authentic healthcare leaders. Nurse coaches listen to patients and clients with curiosity. They listen deeply to learn what is on the surface and to what remains unsaid. Connection to clients is integral, especially as the coaching relationship evolves beyond normal day to day conversation. This connection extends into a transformative process where the client’s story is expressed as intentions, hopes, and beliefs. It is with deep listening and knowing that patients feel heard and understood, and this is when they begin to release their old patterning, to discover their new story as their awareness grows. Nurse coaches know that silence is more important than telling patients what to do. To bear witness is defined by Merriam-Webster as, "...to show that something exists or is true." "Nurse Coaching: Integrative Approaches for Health and Wellbeing," defines it as, "...being present for things as they are, which involves developing qualities of stillness in order to be present for self, clients/patients, and others." There is expressive freedom when a patient speaks their truth without judgment, commentary or solution, and this happens too infrequently in today's healthcare space. In healthcare currently, a story is received with instant sympathy, or solution. This reactive approach stifles a patient's exploration of the meaning the event and when a patient’s meaning is silenced their purpose and existence is squashed, stifling their healing. Bearing witness opens the door to healing. The root word of healing is hale, or "to make whole," and nurse coaches let wholeness guide their actions. People are more than physical bodies — they are emotions, minds, environment, values, relationships, beliefs, purpose, and more. When a nurse coach partners with their patients, their goal is to maintain and strengthen this wholeness, ensuring that each person sustains their unique individuality while finding health balance throughout the trajectory of life. The concept that a problem like heart disease can only be physical — since symptoms reveal themselves in the physical — is set aside. Nurse coaches see that symptoms extend far beyond the physical; to the emotional, mental and spiritual, to relationships, the environment and more. Nurse coaches do not treat diseases or body parts, instead they honor people as whole, unique, individual beings, comprised of wisdom and strengths. Nurse coaches are helping heal patients, clients and families in communities. A nurse coach's ability to combine the science of healthcare with the art and caring of nursing is shifting the paradigm of healthcare to fully involve the patient in their decision making throughout the trajectory of life and death. The challenge is that since the nurse coach role is new, they are not yet positioned in all healthcare spaces, and they must be in the future! Healthcare systems are slow to see progressive nursing roles, as they have yet to be exposed to the value of a nurse coach, despite recent research on the benefits of nurse coaching in healthcare and community systems.